Steve Marsh Wins Another Trophy! 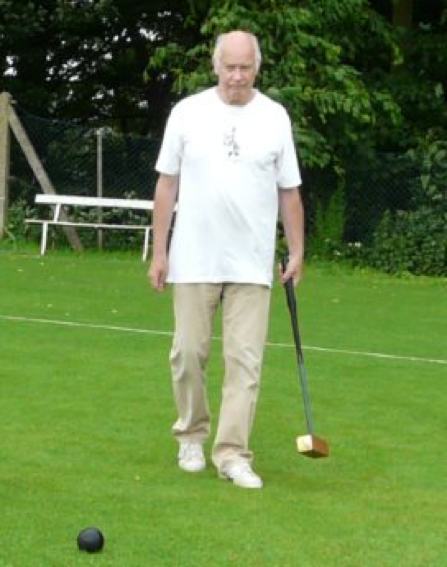 Steve Marsh and Alan Reeves both played in the ‘0+ Cross-over Tournament’ at Chester over the weekend (the 4/5 August). 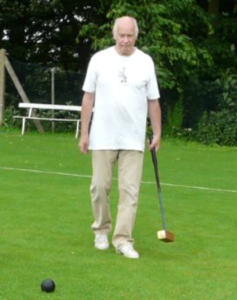 There were 16 entrants for the three different golf croquet titles on offer: The Maggie Cowan prize, the Chester Bowl and the Chester Croquet Plate (which Steve won last year). Regardless of those hazards, Steve came away with the Chester Croquet Plate.